Who says we can't have fun and learn at the same time? 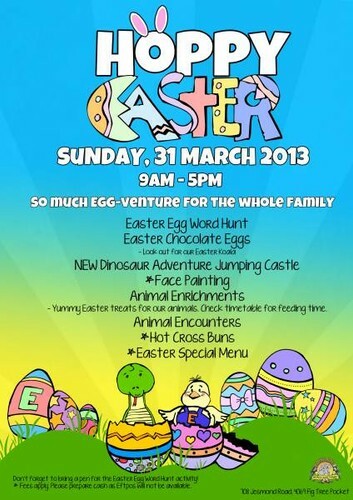 Come and spend your Easter Sunday at Lone Pine for a fun-filled day for the whole family! 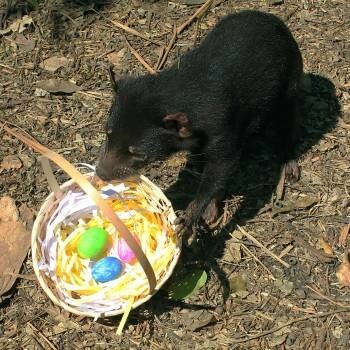 Hop along our Easter Egg Word Hunt trail to visit some of your favourite animals and solve an egg-citing word puzzle. Other activities include face painting, brand NEW Dinosaur Adventureland Jumping Castle and animal encounters. 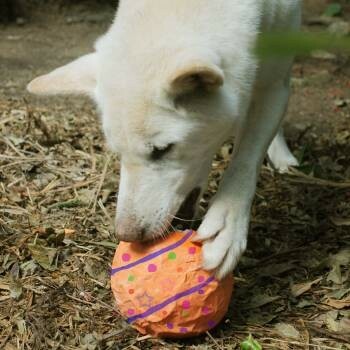 Watch out for our Easter Koala for some free chocolate eggs and this year our dingoes and tassies will be getting eggs too for their "Easter Enrichments". They are not chocolate eggs, so you'll have to come to see it for yourselves. Don't forget to check out our Cafe Specials!